A vineyard among the area’s 29 essential restaurants? You bet. And, it’s not just for the stunning view, or the breathtaking setting. The North Garden vineyard nine miles south of town happens to serve world class food, too. Owners Dean and Lynn Easton Andrews are nationally acclaimed veterans of high end-hospitality, and it shows. While there are lots of ways to enjoy a visit to Pippin Hill, our favorite is to spend much of the day there. We start by ordering a little food and some wine. And, then we order some more. And then maybe some more. Since opening in 2011, the kitchen has been run by Amalia Scatena, the former Chef de Cuisine of Fossett’s restaurant at Keswick Hall, which she helped become Conde Naste’s top rated hotel for food in the entire country. 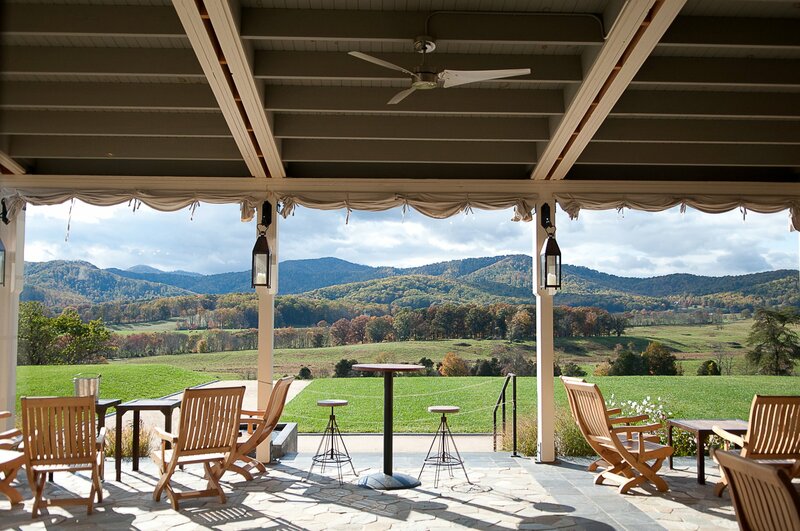 At Pippin Hill, she uses ingredients from the farm and nearby producers to create a new menu each season. While we are always sad to see our menu favorites go, Scatena’s kitchen is so consistent that their replacements are at least as good. It’s simple. When we have guests in town, we go to Pippin Hill. Below are our menu favorites, as well as picks from Scatena, and appearances in Five Finds on Friday, where chefs and personalities have named a Pippin Hill dish one of the best in the area. A seasonally changing menu means that some of these picks might not always be available. But, don’t fret. We’ve never had a bad meal at Pippin Hill.